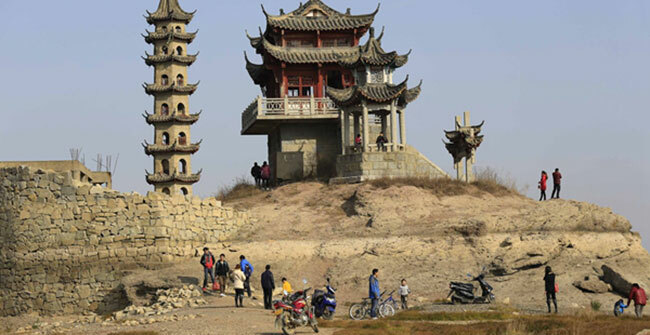 The bustling city is looking at ways to combat noise pollution, reports Shi Jing. Are you the sort of person who mutes their cellphone or plugs in headphones when listening to music on the subway or bus, allowing other travelers the peace and tranquility to focus on their newspaper or book? Do you consider the feelings of others - night workers, mothers with sleeping children, students who've stayed up all night to complete a project? - when you perform early morning exercises in a pubic place and therefore decide to forego the use of "uplifting" music coming from loudspeakers to accompany your calisthenics? Do you refrain from sounding your car horn in residential areas during the small hours? If not, you may soon have to. The municipal government of Shanghai has been investigating the effects of noise pollution on the general public and is preparing to take action to tackle the problem. In late July, the city authorities held a legislative hearing to draft regulations to control public noise. The regulations will center on three major themes: Whether to ban or otherwise control the use of portable loudspeakers in parks, squares and residential streets for physical exercise, prohibiting the refurbishment of residential buildings during specified hours, and limiting the use of loudspeakers at schools. However, the form these regulations will take is still unclear. Cai Jie, who represented the Zhabei district bureau of the afforestation administration at the hearing, admitted that at present the authorities can only attempt to dissuade residents from the use of loudspeakers in parks and other public places because the regulations pertaining to noise pollution are opaque. "A noise inspection or patrol system can be established in areas that receive the highest number of complaints about noise pollution and the statistics could be made public every day. Meanwhile, the environmental protection departments should work closely with the police to set up a strict registration system to strictly observe promotional events or sports that may produce a large amount of noise pollution," he suggested. Meanwhile, the word "negation" in the existing regulations intended to control noise pollution is ambiguous and can allow infringements to continue unchecked, according to Zhao Ye, deputy director of the administration committee of the Jiading Industrial Zone. Shanghai's local environmental protection departments receive an average of 100,000 complaints about noise pollution every year, accounting for roughly 48 percent of all environmental pollution complaints. That's according to statistics provided by the municipal government. So-called social life noise (general street noise) is the most annoying form of pollution and accounts for about half of the complaints. Efforts have been made to alleviate the problem. "Procedures of Shanghai Municipality on the Administration of Fixed Source Noise Pollution Control" was released by the local government in 1986, and the Municipal Standing Committee discussed and passed "Regulations of Shanghai Municipality on Environmental Protection" - which features specific rules on noise pollution - in 1994. But over time, it has become apparent that the definition of social life noise is ambiguous, because it fails to specify the extent by which social noise has overstepped the mark and affected the normal lives of residents. With the popularity of modern technology and the prevalence of cellphones, tablet personal computers and portable video-game players, the need for a clear-cut definition of social life noise and its effects has become ever-more pressing. 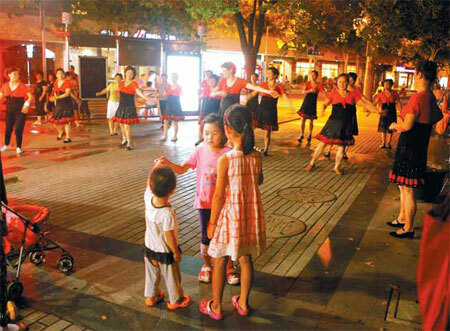 More than 27 percent of respondents in a recent survey conducted by Shanghai's Jiefang Daily newspaper said that their equanimity is frequently disturbed by beggars - and their ubiquitous blaring beatboxes - singing on the subway. Many of the interviewees suggested that onboard inspectors should be hired to dissuade or punish the practice. A further 20 percent suggested that decibel monitors should be installed to determine the noise levels in subway compartments. The monitors would issue an alarm tone should the level exceed the prescribed limits. Moreover, 16 percent said that each subway train has at least one "silent" carriage, in which phone calls, audible music and loud conversation would be prohibited, while 15 or more interviewees admitted that they have attempted to persuade loud passengers to tone down their volume and have gently mocked them if they failed to do so. "What should people do if someone plays loud music via their mobile phone while on the subway, and everybody else is forced to listen to it?" asked one frustrated netizen on her micro blog recently. The question was instantly reposted more than 140 times and attracted the attention of the Shanghai Metro's official weibo (micro blog) account. Shanghai Metro subsequently conducted its own survey and most of the respondents expressed discontent at the perceived indifference to the rights of others. 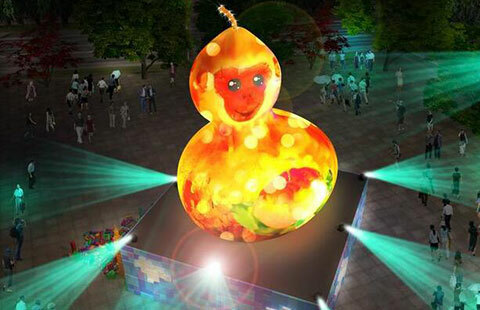 Taipei recently released an image of "2016 Taipei Lights Festival", the Fulu Monkey, which literally means a monkey who brings blessings and good fortune.